In Magento2 when you create an integration, how do you get an Access Token? 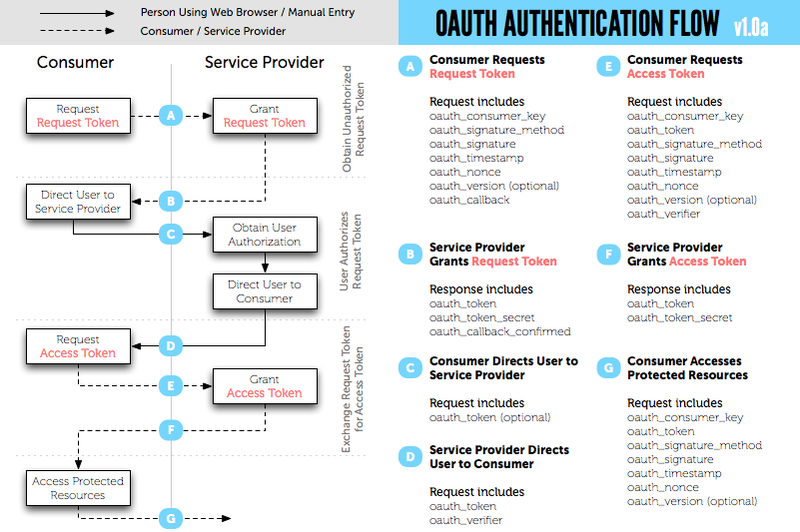 It seems OAuth is the recommended approach for a third-party service, per the documentation. Getting an Access Token is a prerequisite for making authenticated requests against the API. Third-party applications authenticate with OAuth 1.0a. The problem is it's very minimal. With my working knowledge of OAuth1 taken together with a gist of how to get an access token from Magento1 REST services I was finally able to pull it off. Details below! Here's the script I used (adapted from the gist I mentioned above). It uses the native PHP OAuth class, so you'll need to install that extension or swap some of this code out with your OAuth client library of choice. 3. Get your Access Token! I recommend using the Save & Activate option as shown in the image because it seems like Magento has a very short lifetime for the consumer token. I found if I didn't generate the access token immediately after provisioning the consumer, I'd get error messages about the consumer key being expired. On the next screen ensure the permissions for your consumer are as you wish then click the Allow button. This loads a form from the oauth.php script asking for your authorization and simultaneously, Magento sends a POST request to oauth.php passing a temporary token from which you can procure request and access tokens. Not the answer you're looking for? Browse other questions tagged magento2 api oauth or ask your own question. 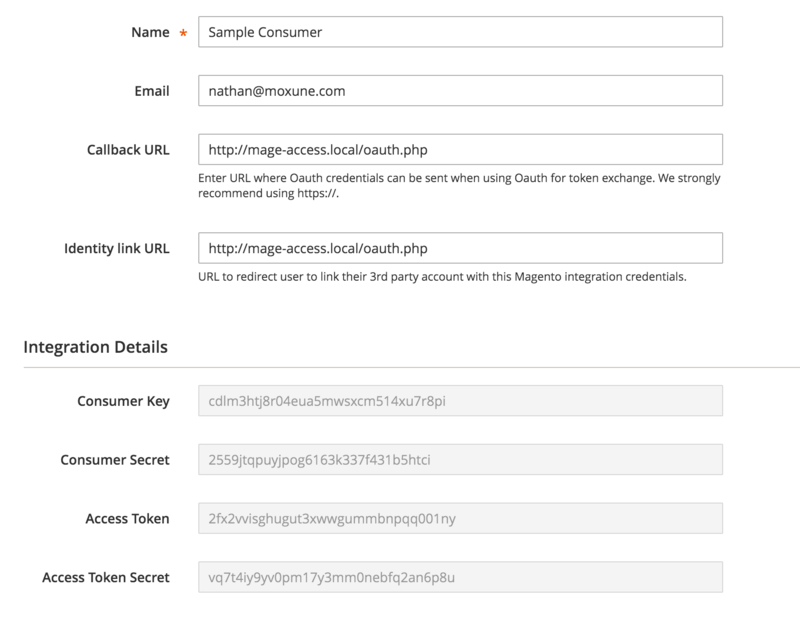 Where in Magento 2's Backend Can you Change the Expiration Time for an oAuth Token Request? How to use REST API for mobile App?